My favorite season, summer, has unofficially arrived in DC! There are so many outdoor activities I love to do once the temperatures start to go up. I love to go to the park, pool, beach, barbecues (who doesn't love barbecue food!? ), festivals, and bike riding. Pretty much I spend 80% of my time outside when the summer time rolls around. With all those outdoor activities happening I know the sun will be hitting my skin hard. Just like every other season, I like to change up my skincare routine and make sure that my skin is protected. Keeping my skin healthy is very important to me. If you have been following my blog for a while then you know I'm no stranger to Neutrogena®. I truly love this brand and they are the #1 dermatologist recommended facial skin care brand. Today I wanted to share with you guys three things that are a must in my summer skin regimen... SPF, cleanse and moisturize! 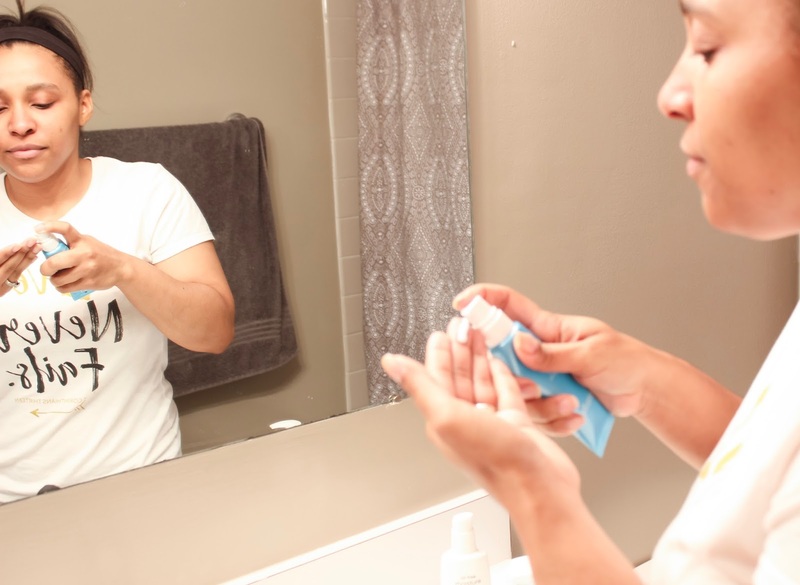 Those three things are so crucial for me during the summer and today I am sharing with you guys which Neutrogena products I have included in my regimen. I cannot stress enough how important it is to wear SPF during the summer. This is the part of my regimen I like to call "damage control". Whether I'm wearing makeup or I am having a no-makeup kind of day I always make sure to wear SPF on my face and my body. We are under the sun three times as more in the summer than any other season; think about how much sun that is on your skin, and think about how damaging that can be to your skin if it is not protected. I love using this oil free moisture with SPF 15 because it feels very light on my skin and does not leave me feeling greasy. I also love that it has a simple and not overpowering scent to it. I never miss a cleanse during the summer. There is double the dust outside, which makes it very easy for that nasty dirt to get under your skin. I love using this cleanser because it is gentle on the face and it leaves it feeling soft and clean. That is exactly what I am looking for after spending almost an entire day outside in the heat. A good and gentle cleanser is key! Moisturizing is a must no matter what time of the year it is. It is like you are adding a layer of protection. For summer, in particular, it is good to avoid the heavy creams and opt for something light that boosts your skin. I love using Neutrogena's hydro boost gel because it does exactly that. It has such a cool refreshing after feeling that it is almost like my skin literally wakes up after moisturizing with this gel. I found all my Neutrogena products in one of my favorite places to shop for my skincare products (and really everything else! ); Target! 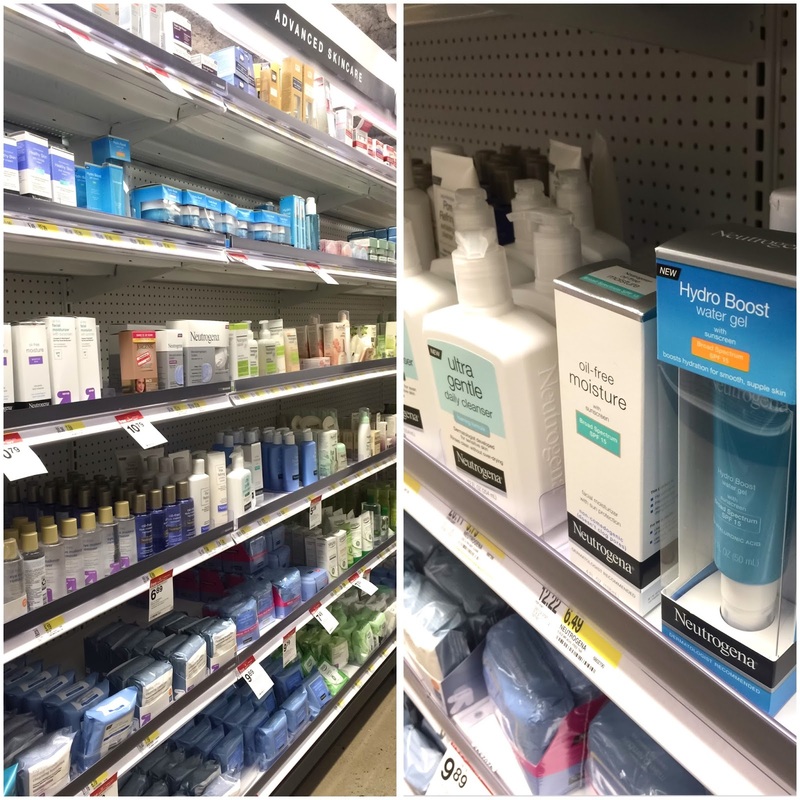 They were all located in the beauty aisle under the skincare section and these products are available at all Target stores. When you purchase three Neutrogena products between 5/21-6/10 and 6/25-7/21 you get a $5 Target GiftCard. Gotta love Target! Are you guys ready for summer? !😎 I definitely know I am! Like I said before I spend 80% of the time outside so I will definitely be protecting my skin. I would love for you to share with me how you protect your skin in the summer, so please leave a comment on this post or on my IG the next time you visit my Kloset. Thank you for supporting the brands that work with Patty's Kloset. Amazing produt. A daily skincare routine during this period of time is often enough to keep black and whiteheads at bay. Cleansing, toning and moisturizing twice a day, using gentle products is recommended.